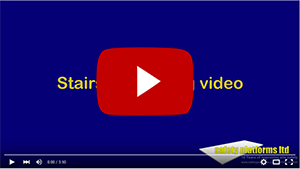 Stairsafe is the stairwell platform specifically for plasterers, dryliners and other trades working within housing stairwells. 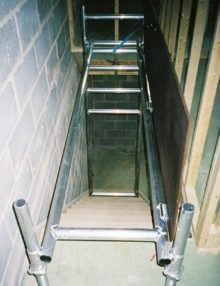 Stairwell Platform Guardrails – Our simple click in guard rail is also available to make the system even safer. The regular platform length is 2.2m but we can also supply 1.7m, 2.6m platform lengths. 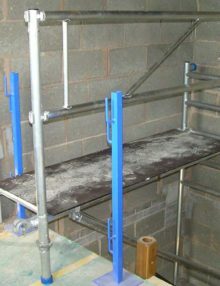 We also supply a 3.0m for exceptional staircases which is an extra cost. Please make a note in the comments section if you require any of these options.